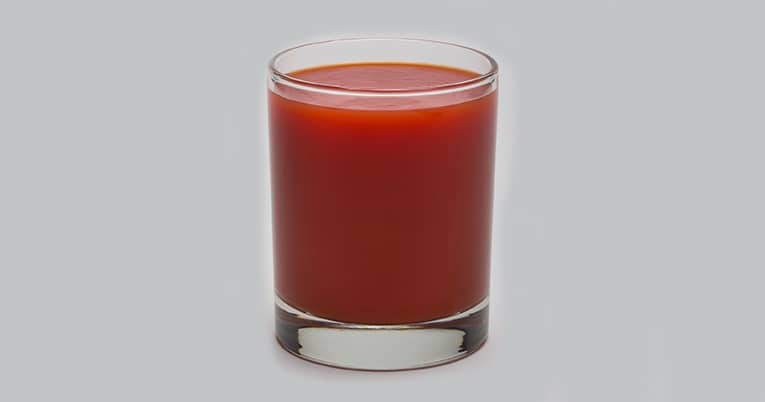 Tomato juice is the unconcentrated liquid from mature red tomatoes to which salt is added. In addition, Ascorbic acid (Vitamin C) is added to meet 120% of the Referenced Daily Intake (RDI). Tomato juice is made from vine ripened 100% fresh pack tomatoes. Made from fresh California, vine ripened tomatoes. Refreshing tomato flavor in every glass.